Moving a Vehicle South? We can help! Each year, thousands of seasonal travelers -or Snowbirds- from the Midwest and northeast head south during the winter months to escape the cold. Many choose to avoid the hassle of driving and ship their cars to and from their destination. If this describes you, we invite you to work with the most trusted and reliable name in auto transport, Fisher Shipping Company. We make it easy to ship your car between Florida and home! What sets us apart is our experience, outstanding customer service and reliable pick up and delivery. Perhaps you need enclosed transport for a classic car from the 60s, or maybe open transport for multiple vehicles. Regardless of your vehicle shipping needs, if it has wheels, we will move it faster and more reliably than anyone else. To get started, request a quote online or call our helpful team at 1 (888) 886-3456. One of our friendly agents will give you a quote and walk you through our easy process, answering any questions you may have. Experience counts: We have been in business since 2006 and have been shipping cars for over 30 years. Friendly agents: We have the best customer service in the industry and you can always reach a real, live person between 9am and 9pm EST, 7 days a week. Happy customers: In addition to an A+ rating with the BBB, read glowing customer reviews on Google and Yelp. 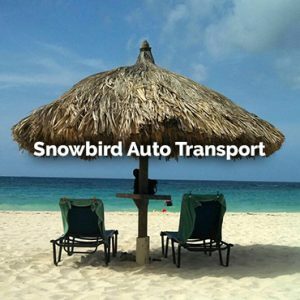 Real prices & reliability: Our cost to ship your car to Florida is all inclusive. You will get the vehicle shipped and delivered when you expect it. Insurance matters to us: In addition to having significant requirements for our trucking company partners, we also carry a $500,000 contingent cargo insurance policy. Extremely satisfied. They had great communication throughout the entire process. Car arrived ahead of schedule! I will definitely use them when I need cars transported in the future.